As I mentioned last week over at this post on the Dave Matthews Band, a goal of mine for the blog is to write more about my music listening tendencies. Music plays a big role in my life, as it does, I'm sure, for most of you. And I feel as though I have all but neglected to Exfand upon my favorite musical genres, bands, and songwriters. If the DMB post was Step One to alleviating that regret, then this is most certainly Step Two. Now, instead of the usual format we've been utilizing for these "Back to Basics Week" posts, I'd like to create a dialogue. With myself. Hear me out. I want to do this for several reasons. First, I find myself to be incredibly interesting. And second, I think it might be a nice change of pace from the whole, Alex and Nathaniel write until they collapse model we've been employing this week. Speaking of employment, yes, we are both still employed. Even though I, for one, have been caught typing on this here blog during work hours at least three times this week. Anywho, let's get right to the (form-busting, so creative it hurts) dialogue between me and...um...myself. Hopefully this comes across as something other than creepy. Or crazy. Or both. Before we get started, I couldn't help but notice that you came off as kind of a jerk a little ways up. Would you like to clarify your statements at all? Just get to the questions, Bucky. Fine, fine. Sheesh. Okay, what kind of music do you like? Sorry. Okay, well, the easy answer is: all kinds. I listen to a wide variety of musical types, from classical to hard rock, Bocelli to Bowie, James Taylor to Alice Cooper. But who would you consider at the top of that list? The Beatles. John Lennon. Yeah, it all starts from there. What is it about that band, and Lennon in particular, that you're drawn to? The Beatles are one of the most "musical" bands in history. What I mean is, there are bands out there who strive to recreate their sound. In order to do that, they have near-full orchestras playing on stage with them. But that's what the The Beatles had on every album. They were orchestral, and yet you remember all of the words to all of their songs. To be both revolutionary and totally mainstream all at once is incredibly rare, but that's exactly what they were. Look at Sgt. Pepper. 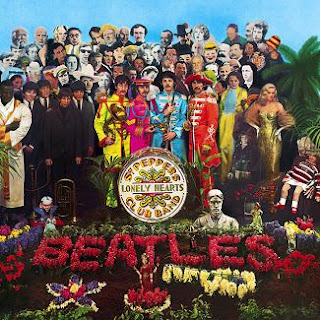 That album was a revelation to the music world--an entire album with interconnected songs and themes--and yet each song stands alone as a classic. Besides that, though, the words to those songs. "Let It Be," "Hey Jude," "Blackbird," "Across the Universe," "In My Life"...the list goes on and on. And later, after the band broke up and John Lennon released his solo stuff, there was an entirely new catalog of music. Imagine hit, and music changed again. Since I was born in the eighties, I obviously never had the experience of buying a new Beatles record as it came out, and John Lennon was killed a couple of years before I showed my fat little baby head. But, like all subsequent generations, I can relate to Beatles songs, and they have a great meaning in my life. No. I think it's impossible to have one favorite Beatles song. Well, in that ultra-real (and needlessly violent) situation you've put forth...probably "In My Life." Moving on, I noticed you mentioned Alice Cooper at the top. 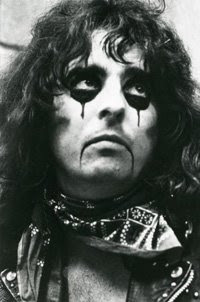 Alice Cooper? Yeah, man. Alice Cooper. Like I said, my tastes vary. I heard "School's Out," playing on the radio one day and I liked it, so I went and bought his greatest hits. It played enough times in rotation on my car's CD player that I decided to find more, and the more I listened to, the more I liked the sound. He's the guy in all the makeup, right? Yeah, the eye black. His old stuff is good, old fashioned classic rock, and some of his newer stuff is a bit more out there, but still very much rooted in hard rock. He's also known as the "Dracula of rock music" because of his appearance and because of the theatrical shows he puts on. They're almost like short plays, actually. Any specific songs you'd suggest to the newbie? "From the Inside" is a favorite of mine, also "Billion Dollar Babies," "Stolen Prayer," and "Welcome to My Nightmare." You've mentioned enjoying bands like Dave Matthews, for example. That's a big difference between DMB and Alice Cooper, no? Sure, but why limit yourself? What's playing on your system right now? In my car, it's Billy Joel's The Stranger, at home it's Zeppelin IV on the CD player and The Best of Leon Russell on the record player. Currently on the iphone (and in my headphones as I type this at work) is some live Dave Matthews Band. You're going to get fired. Nah. I'm like a ninja. A big, fat ninja. 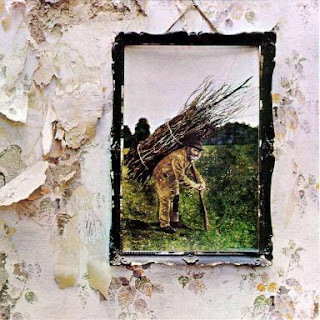 Anyway, Zeppelin IV is a bit of a cliched answer, no? Hey, the truth's the truth. And, despite how cliche that album has become (and how the radio thinks that Stairway is Zep's only song)I always have IV ready to go. Even with Stairway's eight minute running time, the album runs through at a feverish pitch, and the "locations" of the songs change dramatically as the album rambles on. Yeah, I crack me up. When the record came out, the tracks were divided, four on side one and four on side two. All eight songs are classics in their own right, but together, there's something magical--or mystical, if you will--about them. It really is just a great, great album. And, like with all things when it comes to that band, there's an interesting back story to the recording sessions. 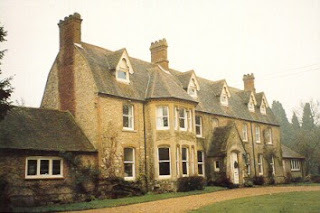 Zeppelin recorded the album at Headley Grange, a looming Victorian stone structure that at one point was a poorhouse in East Hampshire, England. I've read that the band wired the whole place for sound, and Jimmy Page set up mics all over the place. Because it was a big, empty place with high ceilings, Page hung mics down from higher floors and in doing so, created all kinds of echoes and natural feedback. Also, there's some rumors (started by Jimmy Page) that the place is haunted. It would have to be, right? And front-man Robert Plant supposedly wrote all of the lyrics to Stairway while hanging out there. Cool. Any new bands that you're into at the moment? Eh, I'm not a huge new music kind of guy, but I recently discovered Jill Sobule, who is a really cool indie artist, and she sings a song called "Spiderman," so yeah, right up my alley. Also, I'm a big fan of the Pat McGee Band, a group of Southern rockers who don't get nearly enough credit. Anything else you'd like to talk about before we end this thing? Just that I've really enjoyed this week's worth of posting and I hope everyone out there did, as well. Keep the comments coming, everyone, and as we mentioned last week, if there's a fandom you'd like to write about, just drop us a line!